Take a moment to visit my new website! Totally rebuilt from the ground up! I hope that this email finds you in good spirits! I am writing to you today to let you know that I have a new website! This is a big deal for me because I taught myself Adobe Muse and did a redesign of my site from the ground up. It has needed to be done for a few years and I accomplished the task in about 3 weeks. What better way to usher in the second month in 2015! I ask that you please take some time on the site and check it out. There is a lot going on along with some new videos like the two commercials I recently did. The commercials are for Avaya and I got to work with Rachel Hamilton of Rachel Hamilton Improv, Anthony Veneziale of Freestyle Love Supreme, and the awesome Gillian Vigman! You can see the spots by clicking on this link. As always, thank you for your time and support! Be on the look out for a special newsletter next week as I will be announcing some very exciting newsbites. One of which will be the official information regarding the reboot of the Bay Area Film Mixer! Till next time, keep creating! We had the first Improv Sunday School this past Sunday. It was all about character and it was wonderful. What was really great is I had 5 new students that I had never met, which indicates some growth. If you are interested in checking out Improv Sunday School, go to my website! It’s all there. 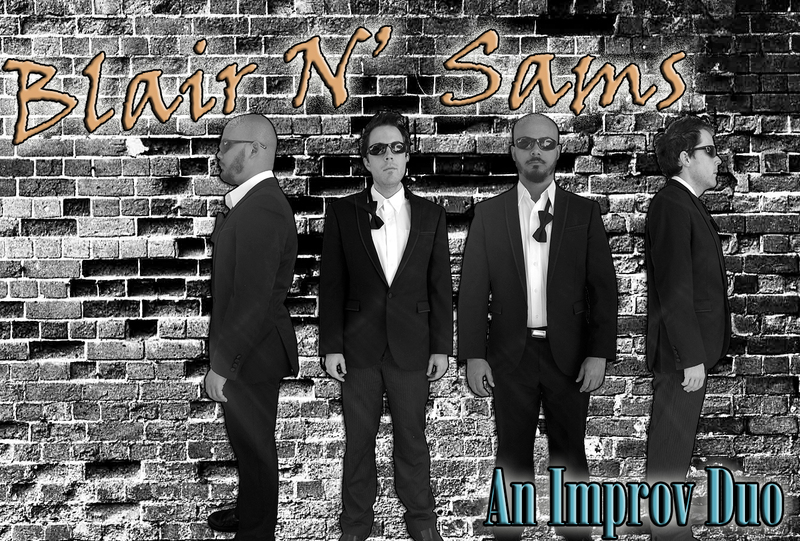 Blair N’ Sams is one of my newest improv projects. We will be headlining Leela’s Indie night on Feb 7th! Come out for a good time as 4 teams take the stage. More information can be found here: Leela’s Indie Night Facebook Event. ← SF Sketchfest with Leela!